The off-season begins in November right after the last game of the World Series. Snow and cold weather are on the way and it starts to set in that winter is coming. 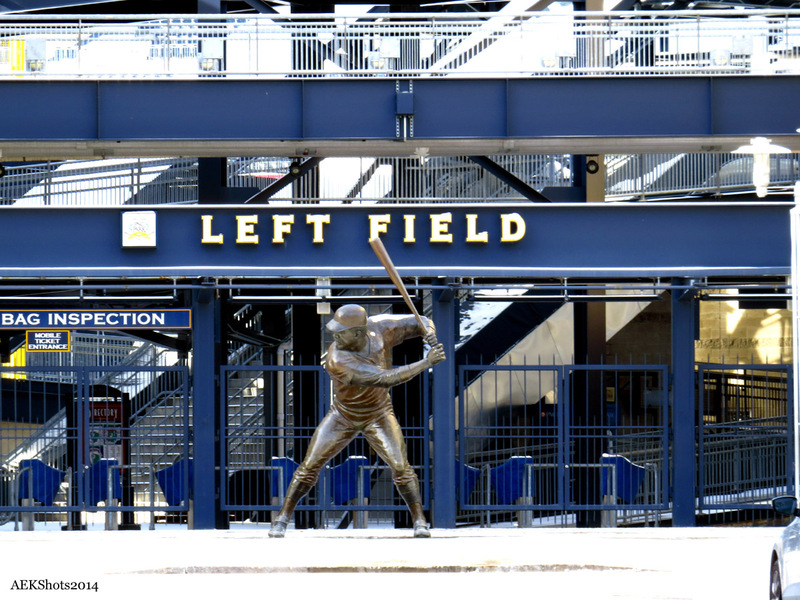 The ballpark sits empty in the cold, gates locked, snow on the seats and all is quiet. 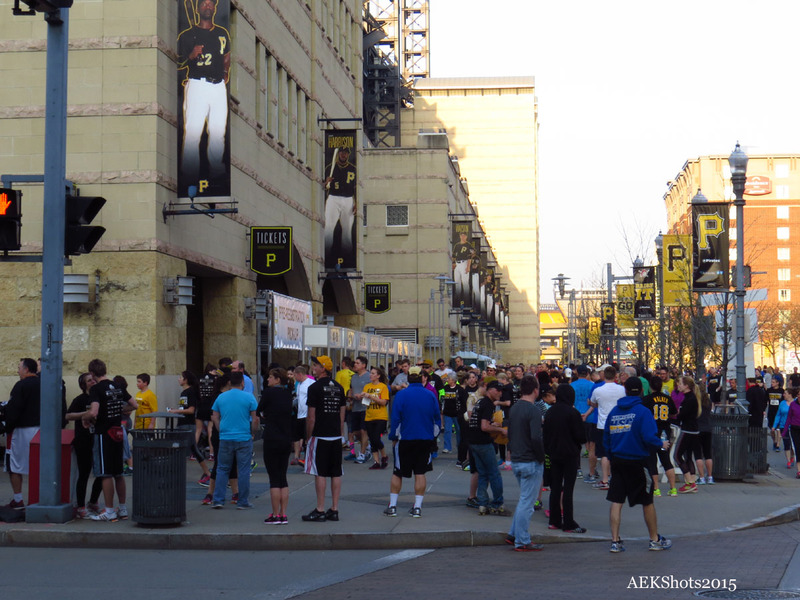 It’s nothing like during the season when the warm sun is shining and the crowd starts to build in anticipation of the day’s game. No…during the off-season there are no baseball games being played and no baseball in sight until pitchers and catchers report to spring training in mid-February. 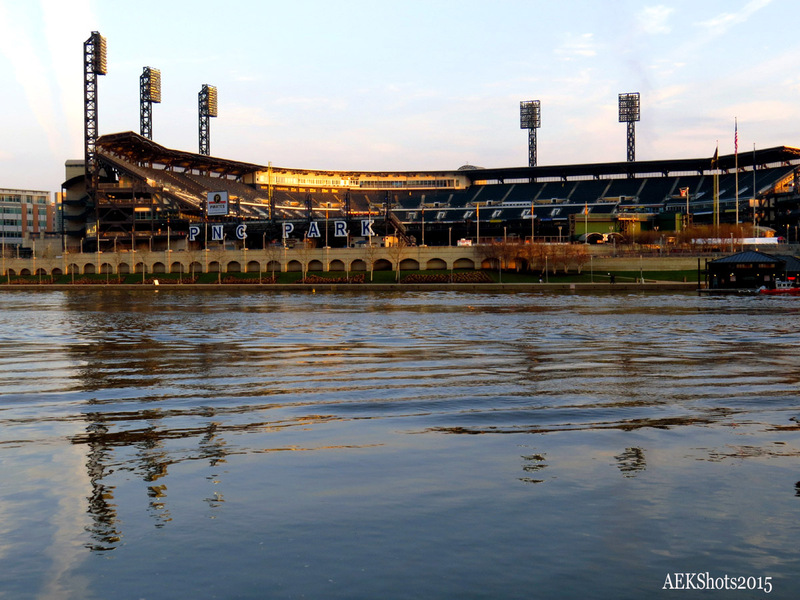 So what’s a baseball fan to do? 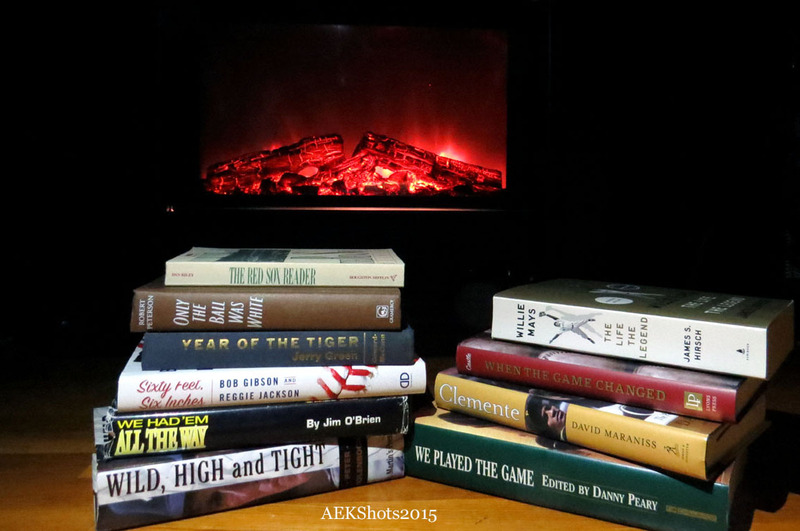 Toss a few logs on the fire, crack open a good book to get your mind off of the snow and cold weather and get ready for another baseball season next year! (11of12ts) 🙂 one to go! To see other Off-Season posts…click here. Well Andy, I must admit I hate to see the challenge end as you have risen to it so perfectly. This one, however, was just TOO easy for you!!!! Excellent response my friend 😄 Loved the storybook ending! HaHa…thanks Tina. Yeah, this was an easy fit although I was glad I had some winter shots to work with. So I was thinking wouldn’t it be funny if next week’s challenge is “baseball”…lol. 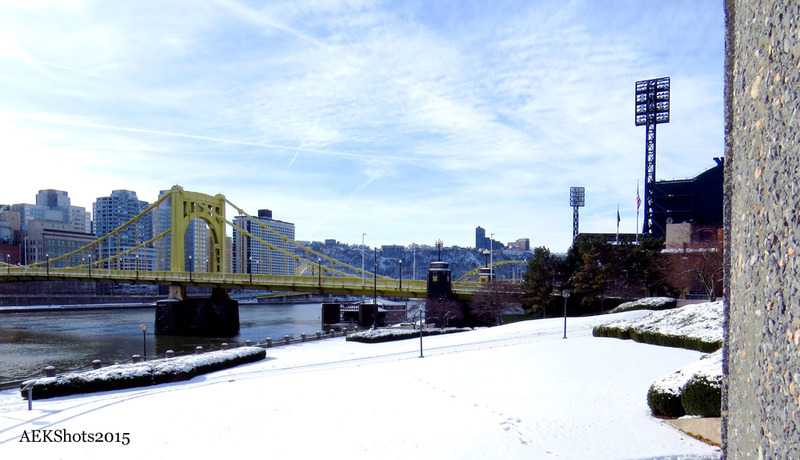 Love that shot of the bridge, the yellow really pops out against the snowy backdrop. 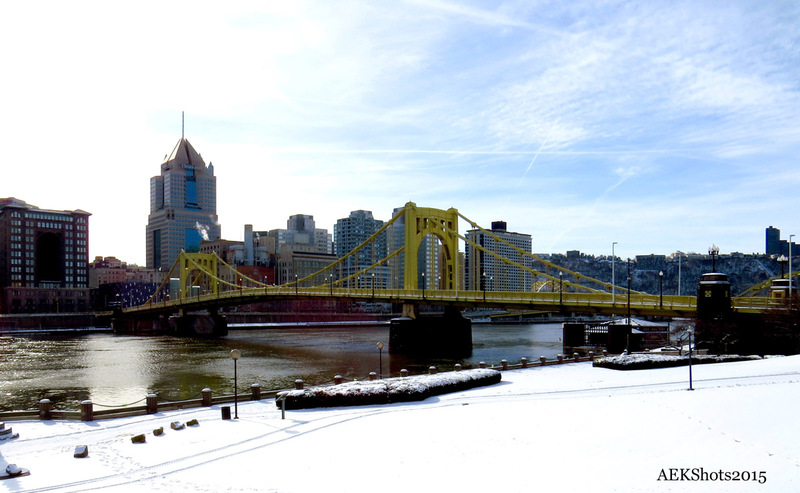 The yellow bridges are a big favorite in downtown Pittsburgh and are fun to shoot. Thanks for stopping by Laura.